Backstage pass to the new regional rail hub! 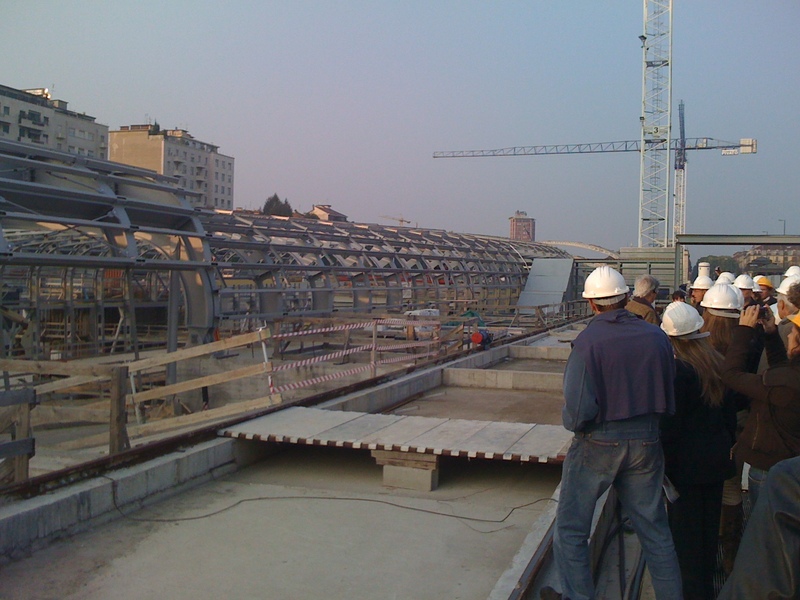 Yesterday I scored a behind-the-scenes tour of a major regional project here in Torino: the new railway station at Porta Susa. 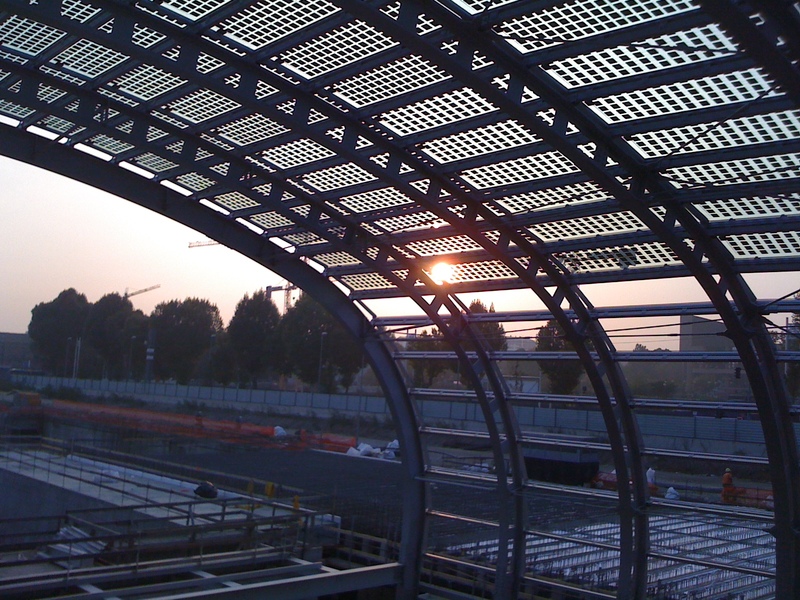 The new station is Torino’s equivalent of the Bay Area’s TransBay Terminal: it will create a single hub for local, regional and international rail service. Its a linchpin in Torino’s regional plan – providing better connectivity within the city and the region, and improving connections to other major cities in central Europe. Currently, train service in Torino is spread among three different stations, with no single “hub.” Trains for the airport depart from one station; trains to Milan from another. This is frustrating for locals and travelers alike, and so very un-European. When the car was king of Torino, there was little motivation to correct this problem. But this lack of connectivity is increasingly seen as a hindrance to Torino’s economic competitiveness in a Europe where all major cities have fast, efficient rail connections to move people and goods. 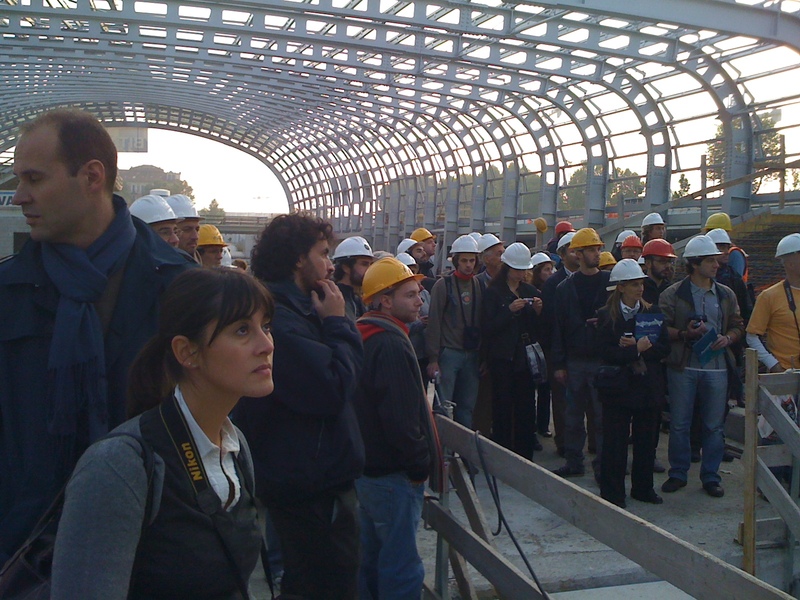 During Torino’s regional planning process, where stakeholders and officials from across the region came together to develop a vision for the future, the new train station emerged as a top priority. It is viewed as an investment in the new “knowledge” economy that emphasizes connectivity, innovation and creativity. This is good for city of Torino but also the surrounding municipalities, which benefit from better commute options, easier access for tourists, and improved transport for the goods and services they produce. (The rural areas around Torino are famous for wine, cheese and meats). The strong regional consensus in support of the project helped it secure funds from the EU and Italian government. The new station – which is about halfway complete – is incredibly complex, and also very beautiful. Surrounded on all sides by historic buildings and major thoroughfares, the design of the project is uniquely long, narrow and deep: three sets of train tracks will be stacked one atop another beneath the station. The finished structure will look like a long glass tube, with an open promenade on the top floor filled with trees and light. The top floor will essentially function as community space in a dense neighborhood. Where roads intersect the building, pedestrian thoroughfares will allow people to walk through, rather than around, the station, to allow connectivity for the surrounding neighborhoods. The project is designed with numerous openings, skylights and transparent materials at every level that will allow natural light to penetrate all the way to the underground platforms. There are also clusters of semi-transparent photovoltaic cells on the outside of the dome – they are visible in the photo below. 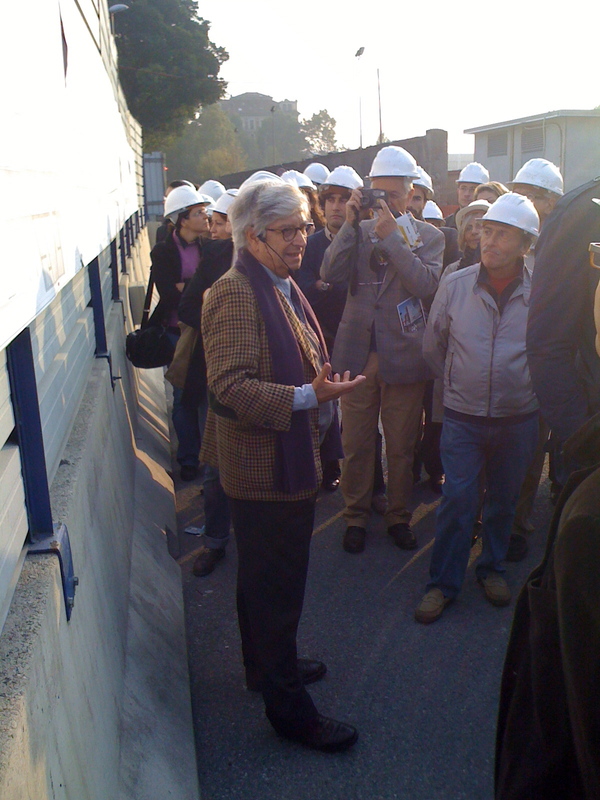 The architect who designed the project gave a lengthy talk at the beginning of the tour. I couldn’t understand much of what he said, but he was a dapper fellow and really looked the part of the Visionary Architect. 1 Response to Backstage pass to the new regional rail hub!